Whether you’re planning to move in with a new roommate, a significant other or a spouse, combining two separate households can get complicated. More than likely, you both own many similar or duplicate items including kitchen appliances and dishes, furniture and beds and electronics. 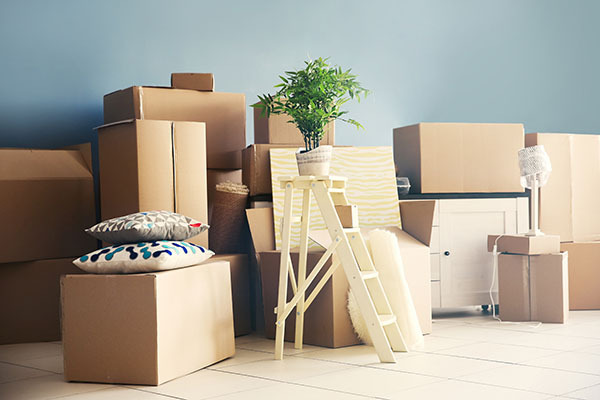 Bringing all your belongings over to the new home just to throw half of them away can be a waste of time, so some edits will need to be made to your possessions before the big move. The experts at MovingAddresses.org know how hard it can be to consolidate two households into one while keeping both parties happy. They’ve compiled a list of tips you can take into consideration before attempting to combine your items with another person in your new home. When you’re comparing similar items or tools from both households, it can be hard to choose which one to keep and which to toss. If there is not significant emotional attachment to the item, it’s always a good idea to hold on to the item that’s a more trustworthy brand and of higher quality. You should also only keep items that still function properly and are in good condition. For example, if you have a potato peeler that’s rusted and has lost its handle, and there’s a peeler already in your new home in pristine condition, you should be the one to get rid of your own potato peeler. The team of experts at MovingAddresses.org suggests taking an inventory of your new space, then comparing what’s needed and what can be tossed before you start packing. You can compare the quality of your items to what’s in your new home before taking the time to pack them up. If owning two of one item makes sense and you know you’ll use both, hold on to it. Analyze your needs and what you’ll use more frequently in your new home before getting rid of your items. Your new home may require different tools or products for upkeep, so the experts at MovingAddresses.org recommend keeping in mind what items you’ll need to maintain your new space before throwing anything out. Consulting with your new roommate or significant other on the items you currently have and what the new home is need of will also prevent you from throwing out items that you may actually need in the future. It’s not just enough to know what’s needed in the new space, but you should also do a trial run to be sure these items will work. If you’ve decided it’s best to toss the sofa that’s currently in the new home and bring yours over, take some measurements before Moving Day. Being sure the color, the décor and the size of your new items will work with the space prior to moving can prevent the hassle of hauling these items unnecessarily. According to the group at MovingAddresses.org, it can be a good idea to take pictures of your items to review their designs with your future roommate before making decisions on what stays and what goes. Moving in with someone else, whether it’s a roommate or significant other, can be tough when it comes to decorating and organizing the shared space. It’s important to be able to compromise on which items to keep and what should be thrown out. It probably won’t be possible for you to keep all your belongings, so working with your partner and being rational about what fits in the space will be the best way to move in comfortably. The experts at MovingAddresses.org suggest staying sensitive about items that may have emotional or historical ties to your roommate’s past and staying open to compromising on which items are kept. Talking through where everything will be placed in the home prior to the move will make your move and unpacking run smoother.